A new monitor can make or break your gaming experience. This is why choosing the best one when prices are lowest is an opportunity you should carefully address. You can also find some of the best deals that day by checking our Cyber Monday gaming PC article. Currently, below you’ll find a list of the best deals from last year’s Cyber Monday. There were a handful of developments in the past year such as AMD’s FreeSync 2 (not just FreeSync but HDR as well). These are worth keeping an eye on since their price has reduced drastically over the last year. But we intend to update the list as soon as we find more sightings of this year’s best Cyber Monday monitor deals. We’ve anticipated that deals will start popping on the 15th-- and it did. Currently, our team is actively looking for deals to post on this website. At the same time, we’ll also update our Black Friday and Cyber Monday gaming PC deals throughout the event to make sure you’re getting the best deals. So without further ado, here is a list of the best monitors from 2017’s Cyber Monday. You’ll also find Asus monitor deals on Cyber Monday as well as deals for BenQ monitors during Cyber Monday. What to Expect from Acer Monitor Deals on Cyber Monday? This 23.6" KG241Q bmiix 1080p Monitor has retailed at $149 for a while now, but last year they were only $89 during Black Friday-- that’s $60 less! This 23.8” R240HY bidx 1080p IPS Monitor also retails at $130, but last year cost only $110. These are very good monitors for most entry-level users and are still in demand as we speak. If you’ve missed this last year, you might get a chance this year. What to Expect from Alienware Monitor Deals on Cyber Monday? The Alienware AW2518HF FreeSync 25” monitor was a very solid choice last year. This has a whopping refresh rate of 240Hz. Remember that you will need an AMD graphics card to utilize the Freesync though. If you have an NVIDIA graphics card, then you should get a monitor that specifically supports G-Sync instead. What to Expect from AOC Monitor Deals on Cyber Monday? The 24” G2460PF 1080p 144Hz Monitor (FreeSync), while popular for being an affordable 144Hz monitor with a 1ms response time, only saw a price drop of $10 last year, so we really don’t know if they’ll do much more this year. What to Expect from Asus Monitor Deals on Cyber Monday? One of the best monitors last year was the 27″ VS278Q 1080p Monitor. It was retailed at $179 but it only cost $144 on Cyber Monday 2017. The 27″ VE278H 1080p Monitor was one of the cheapest monitors last year, going from $180 to $140. It even has decent speakers (although we still recommend a decent $50 headset or a budget CHG09 headset). One of the best 144hz monitors during Cyber Monday last year was the ASUS ROG Strix XG27VQ. With 144Hz of refresh rate and 1ms response time, this 27” monitor is expected to possibly cost under $300 this year, down from last year’s Cyber Monday price of $315. What to Expect from Dell Monitor Deals on Cyber Monday? Intel just recently released their Cannon Lake 9th generation Intel Core i5, i7, and i9 processors. Specifically, Intel Core i5-9600K, Intel Core i7-9700K, and Intel Core i9-9900K processors. AMD Ryzen also released their 2nd gen processors a few months prior: Ryzen 3 2200G, Ryzen 5 2600X, Ryzen 7 2700X. Because of that, they are already $10 cheaper than their release price-- this means we will likely see deeper cuts to these. Just keep in mind that it’s still unlikely for us to see huge discounts with these processors, especially with the newly released Intel Core Cannon Lake processors. What to Expect from Lenovo Monitor Deals on Cyber Monday? Last year, the Lenovo 65D2GCC3US QHD Monitor dropped its price by as much as $70! Originally retailed at $200, during Black Friday and Cyber Monday it only cost $130. It has dropped its price steadily since then and is expected to cost a little lower this year. This not only has USB 3.0 ports but it also comes with a USB 3.0 cable. What to Expect from LG Monitor Deals on Cyber Monday? The 24” 24UD58 4K UHD IPS Monitor (FreeSync) was one of last year’s best 4K monitors on Cyber Monday; it cost less than $250 last year’s down from $310! If you want an HDR monitor, the LG 27UK850-W 27" 4K UHD IPS monitor is for you. This cost around $700 last year and seeing that the price dropped steadily since then ($647 recently), chances are we’ll see a nice discount this year. And remember to stick with the DisplayPort or HDMI to experience the FreeSync technology. We recommend you get the LG 27UD88-W 4K monitor if you run an Apple system (although it works well for Windows too). It comes with a USB Type-C and a 4K resolution-- perfect for both gaming and productivity. What to Expect from Samsung Monitor Deals on Cyber Monday? You could also get Samsung’s 27” C27F591 Curved Monitor for $200 last Cyber Monday-- down from $300. This is a curved 1080p monitor with AMD FreeSync technology! If you want a monitor that supports FreeSync 2 technology, then you can count on the Samsung LC49HG90DMNXZA CHG90 Series. Since its initial release last year, prices have already dropped from around $1,500 to below $1,000 now. How much more will they drop on Cyber Monday? The Samsung U28H750 Quantum Dot 28" Ultra HD monitor was also a hit from last year’s Cyber Monday monitor deals. This 4K monitor supports AMD FreeSync. Its price has gone down a notch since last year so it is definitely still worth investing in this year on Cyber Monday. Consider getting the Samsung C27HG70 27” monitor if you specifically want a curved QLED gaming monitor. The monitor has dropped down from $600 to $460 at retail, so it’s a great candidate for further cuts come this Cyber Monday! What to Expect from Sony Monitor Deals on Cyber Monday? Sony had a handful of very affordable monitors last Cyber Monday, one of which is the Sony KD43X720E 43-Inch 4K Ultra HD Smart LED TV (2017 model). Last year, they cost $480 down from around $600. What to Expect from ViewSonic Monitor Deals on Cyber Monday? This 27" XG2700 Monitor was one of the best monitors you could get last year thanks to its 4K resolution and reasonable price point. While it originally cost $550, during last year’s sales, it was $500. 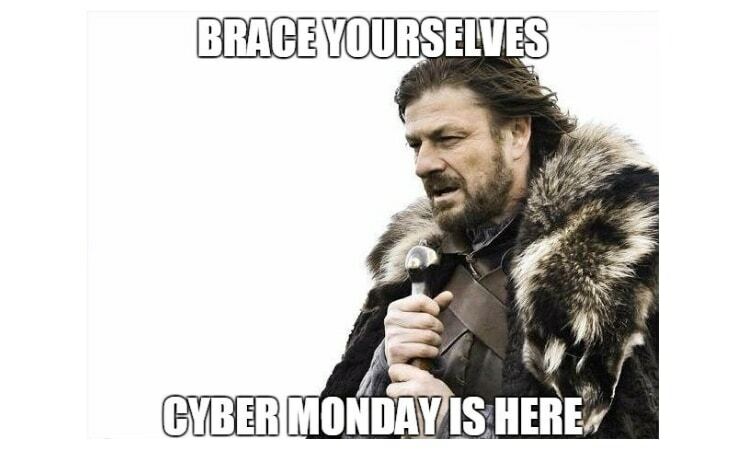 Cyber Monday is one of the most-awaited-- possibly even the biggest-- shopping day of the year. This is just 3 days after Black Friday. Every item/product you could think of may possibly be at its lowest price this time of the year. Amazon, Newegg, and other online retail stores will participate, especially since huge deals and deals can only be seen online-- unlike Black Friday, where physical retail stores take the stage. So if you’ve missed some of the deals on Black Friday, keep an eye out on Cyber Monday deals. 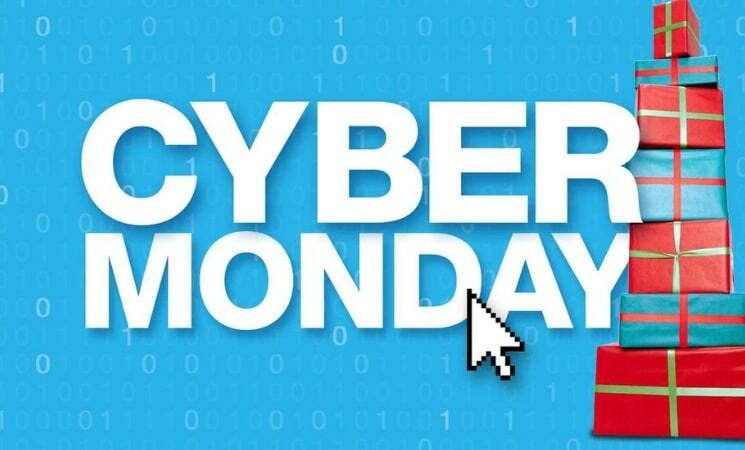 This year’s Cyber Monday will take place on the first Monday right after the American Thanksgiving. That will be on November 26, 2019, 3 days later after Black Friday. How to Prepare to Get the Best Cyber Monday Deals? A good way to start your preparation is to come up with a budget. Not knowing when to stop shopping is likely to lead you to impulse buying items you don’t really need. When you’ve decided how much you’re going to spend for this year’s Cyber Monday, write up names of products or parts you need to upgrade. Remember that needs are different from wants so make sure you put them in two different groups. You can also check Amazon’s Early Black Friday Deals because it’s likely that some of it will still be featured in Amazon’s Cyber Monday monitor deals page. We’ll add in a link to Amazon Early Cyber Monday Deals here, too as soon as the announcements are made. You can also join the Amazon Lightning Deal Waitlist. Simply go to the item you want and click on the Join Waitlist button located at the right portion on the screen. Be Updated with the Latest Cyber Monday Deals with Us! In the meantime, we’re actively on the lookout for this year’s gaming monitor Cyber Monday deals that may show up unannounced-- especially 4K Monitor Cyber Monday deals because they’re cheaper now than they were a year or two ago. So expect to see changes on the list until the end of this year’s Cyber Monday.